Attention Customers: Need to get rid of some old private documents? Let us do it for you, for free! 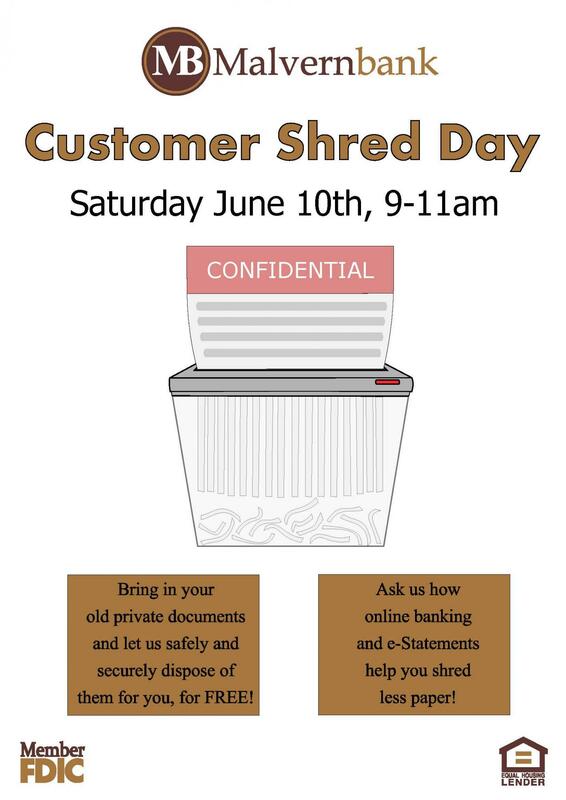 Come in to the bank during our business hours (9am-11am) on Saturday, June 10th, bring in your papers, and we'll take care of the rest! Tied of having to shred your paper? Ask us how to make the switch to online banking and e-Statements and we'll teach you how to make your important documents digital while still maintaining the same level of security.